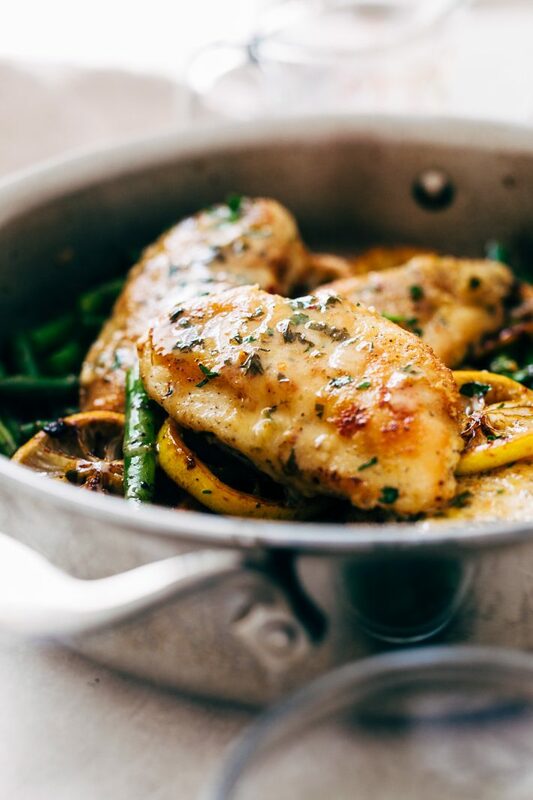 An easy skillet garlic lemon butter chicken recipe that you can make in a flash! The chicken is dusted with parmesan and flour, so it’s nice and crispy, the veggies are cooked in the same pan, so it’s easy to clean up. And the lemon butter sauce is to die for! What’s not to love? 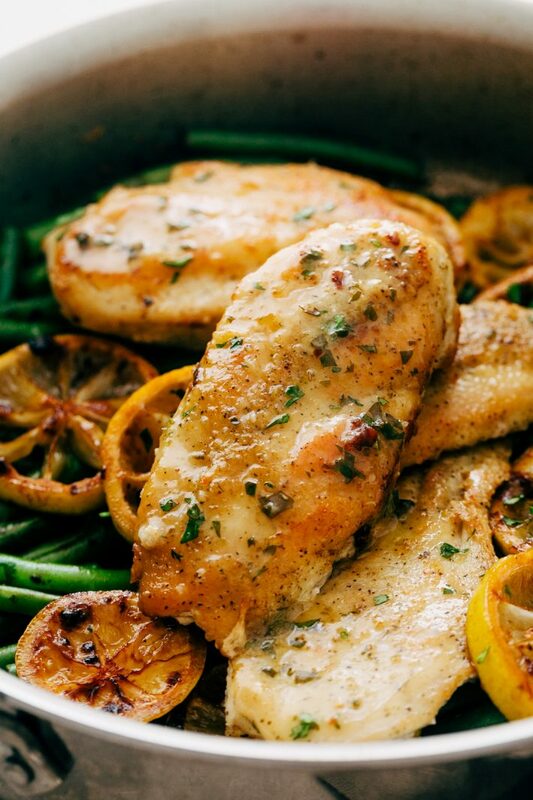 I’m coming at you today with a lemon butter chicken recipe that you are just going to love! 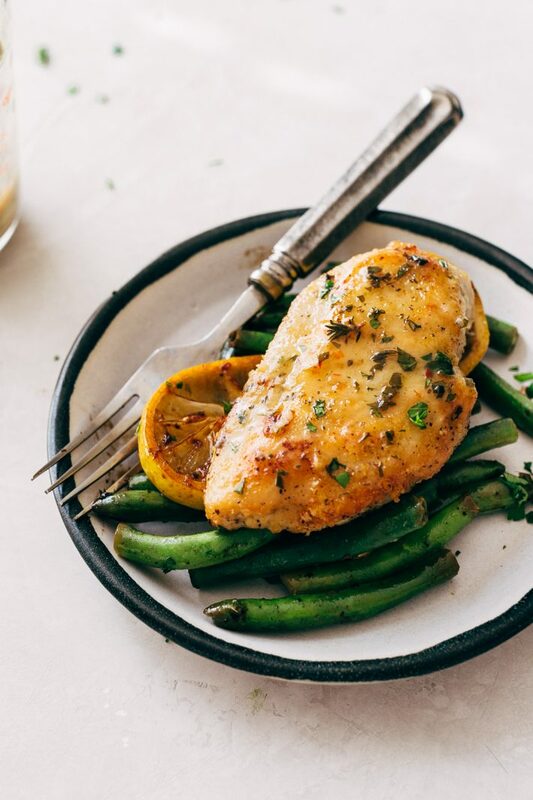 It starts with parmesan and flour dusted chicken breasts that we’ll sauté in a little olive oil while we make our lemon butter sauce. And then we’ll bring it all together with green beans, and before you know it, you’ll be hollering for the family to come down for dinner because this thing comes together in. a. flash. 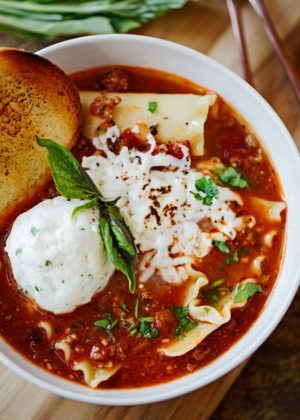 Quick dinners are my spirit animal. 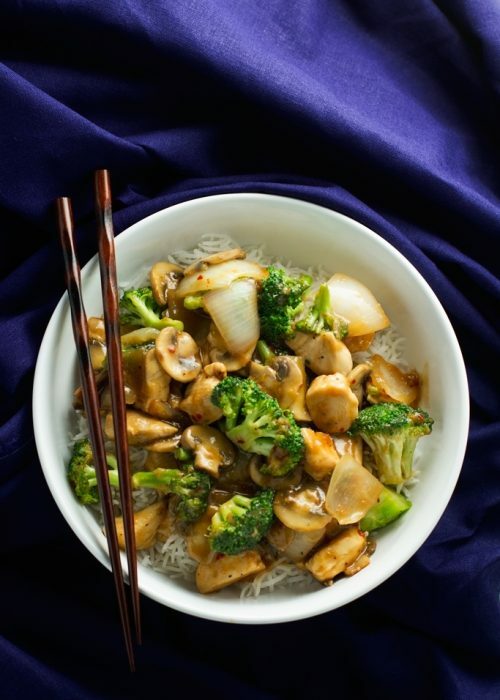 If today’s recipe looks a little familiar to you, it’s because it’s a new take on my previously shared honey lemon chicken. I swapped out the honey for more garlic and herbs and added a little parmesan to the chicken breasts so that they get all those nice crispy bits when we saute them in olive oil. 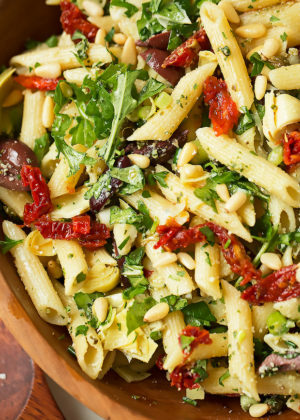 It’s no secret that easy dinners are my favorite things to make. 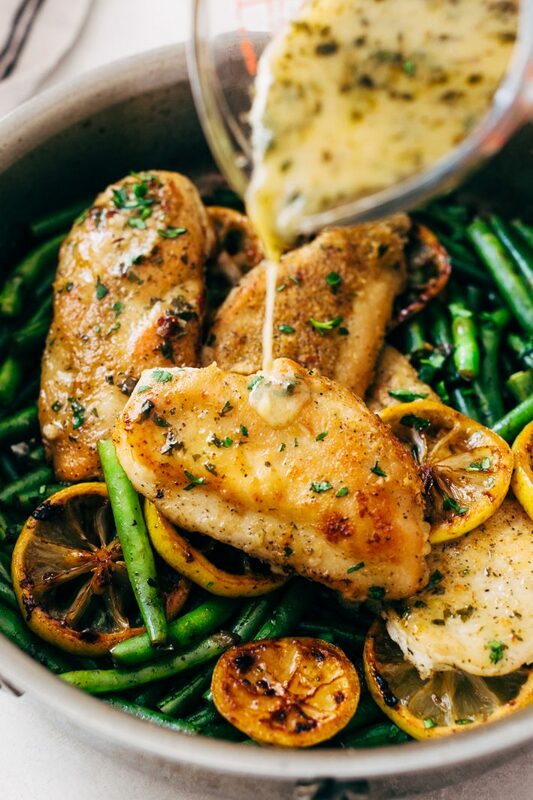 Have you made my one skillet chicken with lemon garlic cream sauce? 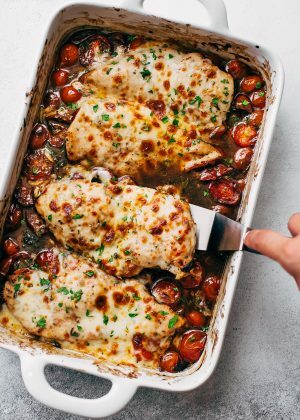 Or balsamic tomato baked chicken? Do you see it’s a pattern? I’m always testing new chicken recipes to share with you guys. 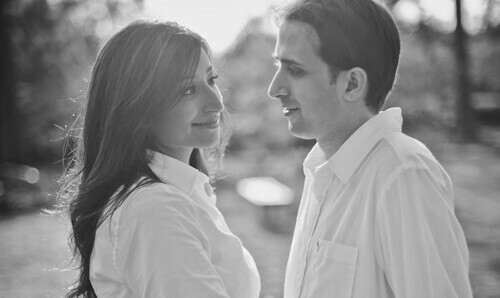 In fact, I’ve got another couple good ones coming down the pipeline here in the next few weeks. 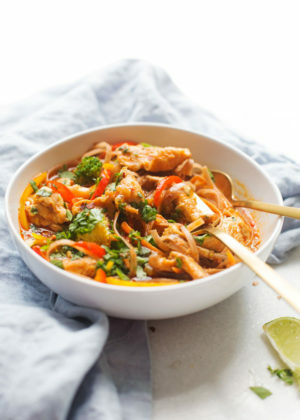 I’m just glad to see that you guys happen to love easy weeknight dinner recipes as much as we do! Easy prep. Easy cleanup. 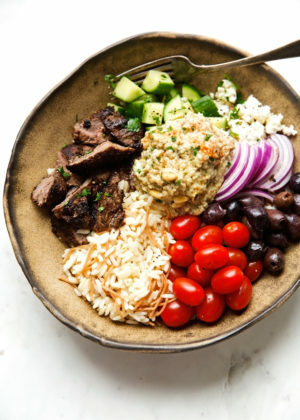 Flavorful meals. Check, check, and check. WHAT IF I ONLY HAVE CHICKEN THIGHS, CAN I USE THOSE? 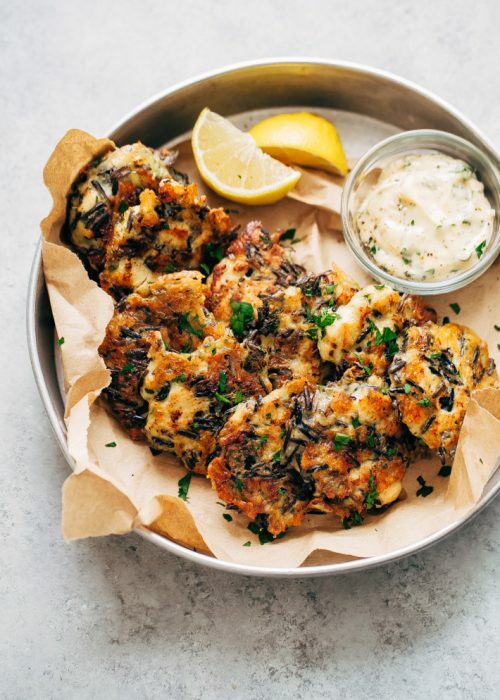 Yes, you can swap the boneless, skinless chicken breasts for chicken thighs here. Just be sure to use the same amount of chicken required. WHAT IF I FOLLOW A GLUTEN FREE DIET? 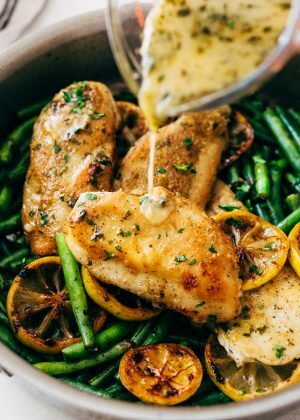 HOW CAN I MAKE THIS GARLIC LEMON BUTTER CHICKEN GF FRIENDLY? Sure thing! 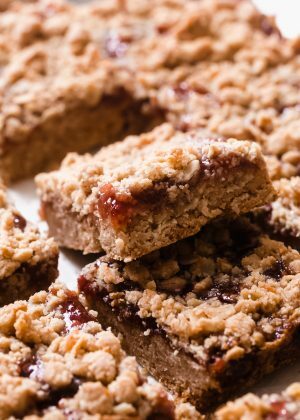 Just swap the all-purpose flour for a gluten-free 1-1 baking mix or use regular old cornstarch! Either will do the trick! Combine the flour, parmesan, seasonings, salt, and pepper in a shallow baking dish. 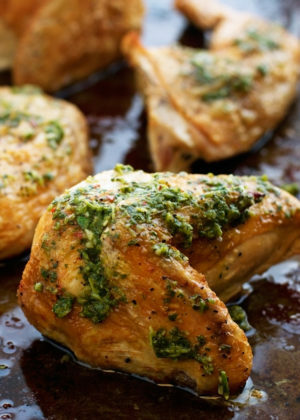 Coat each side of the chicken breast in the flour mixture and add it to a hot pan with the olive oil. Allow the chicken to cook for 4-6 minutes on each side before trying to flip it. You want to make sure the chicken is cooked all the way through, if you’re unsure, I suggest testing it with a meat thermometer. We’ll start by heating the lemon juice, garlic, red pepper flakes, and seasoning in a small saucepan. Reduce the lemon juice until you’ve got roughly three tablespoons remaining, this shouldn’t take more than 1-2 minutes. Then, slowly add the butter a little bit at a time, swirling the saucepan to help the butter melt. I like to do this while the chicken is browning, it doesn’t take more than 5 minutes! HOW DOES THE LEMON BUTTER THICKEN THIS SAUCE? DON’T WE USE FLOUR OR CORNSTARCH? Have you made my garlic butter baked salmon in foil? 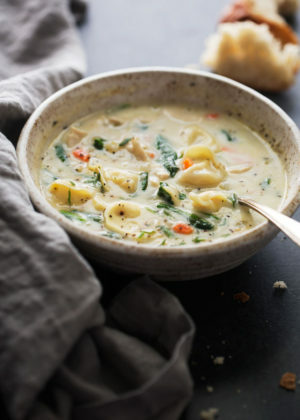 If you have, we’re using the same technique to thicken it up. 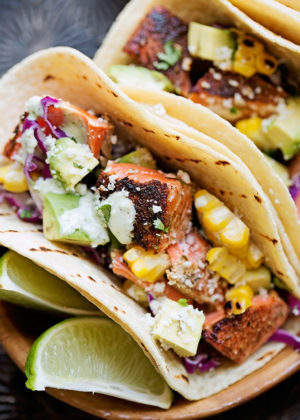 You don’t need flour or cornstarch. The key is to let the lemon juice, garlic, red pepper flakes, and Italian seasoning simmer until it reduces a bit. Then, we’ll slowly add cold pats of butter a little bit at a time to help the sauce thicken. This will take a few minutes but what you get it a zingy lemon butter sauce that’s restaurant quality. The key is to use cold butter. 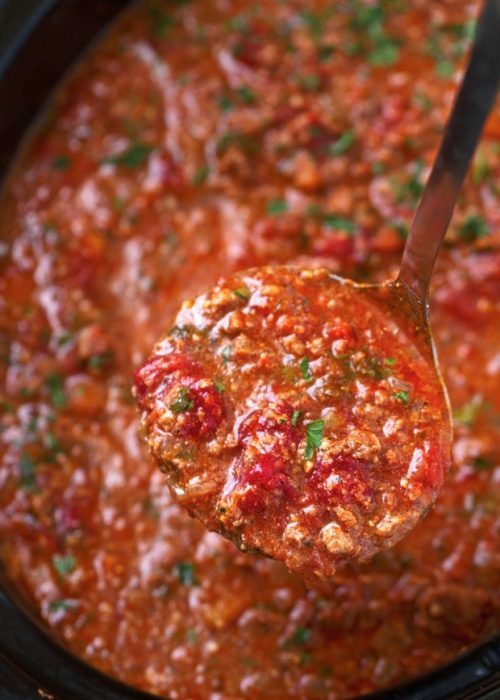 The sauce won’t thicken properly if your butter is room temperature or melted! I’M NOT A FAN OF GREEN BEANS. CAN I USE ANY OTHER KIND OF VEGETABLE? Sure! 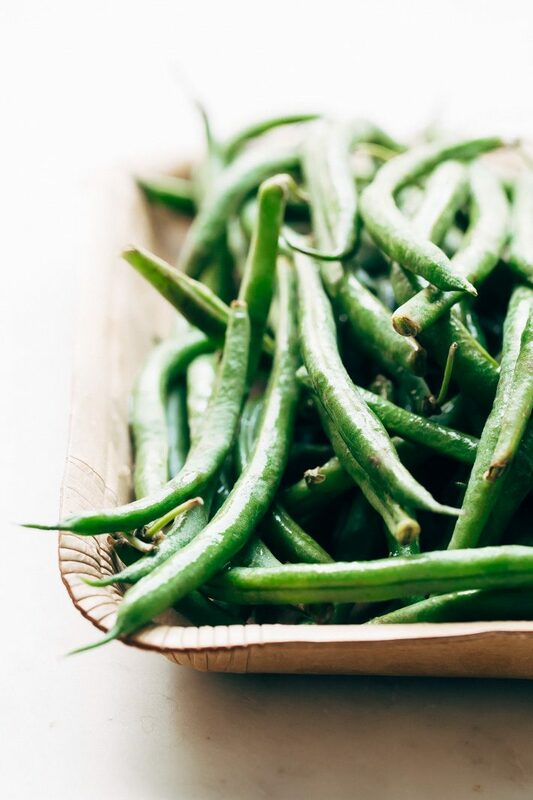 You can swap the green beans for sliced zucchini or asparagus if you’d like. 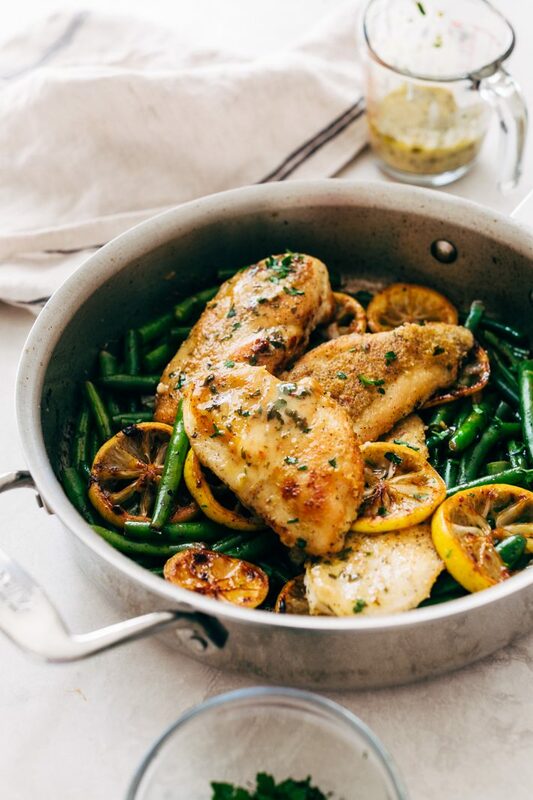 WHAT CAN I SERVE WITH SKILLET GARLIC LEMON BUTTER CHICKEN? 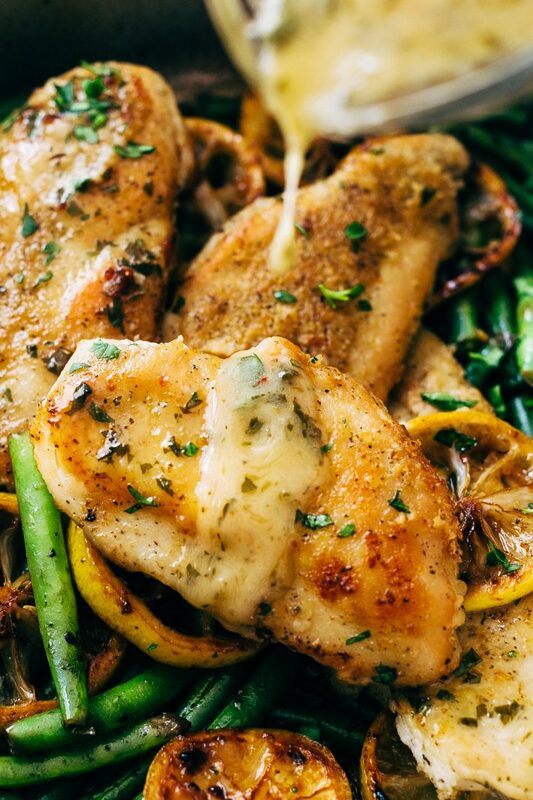 An easy skillet garlic lemon butter chicken recipe that you can make in a flash! The chicken is dusted with parmesan and flour so it’s nice and crispy, the veggies are cooked in the same pan so it’s easy to clean up. And the lemon butter sauce is to die for! What’s not to love? 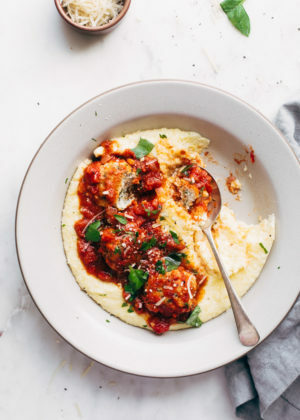 CHICKEN: Add the flour, parmesan, ¼ teaspoon garlic powder, ½ teaspoon salt, and ½ teaspoon pepper to a shallow dish and whisk. Add each piece of chicken to the flour mixture and coat on both sides, dust off any excess flour. Heat a skillet over medium-high heat and add the olive oil. Add the chicken to the skillet and let cook for 4-6 minutes per side depending on the thickness. Prepare the sauce while the chicken cooks. Remove chicken to a plate when cooked. 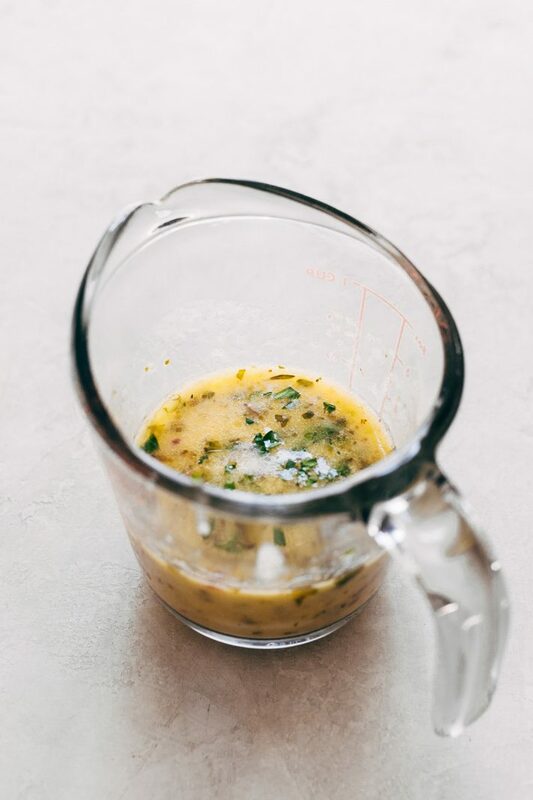 GARLIC BUTTER SAUCE: In a small saucepan over medium heat, combine the lemon juice, minced garlic, red pepper flakes, and Italian seasoning and allow the mixture to reduce to 3 tablespoons. Add 1 tablespoon of butter and remove the pan from heat and swirl so the butter stars to melt. Place back on the heat for a few seconds, remove and continue to swirl until butter melts completely. Repeat with remaining tablespoons of butter. When butter is completely melted, remove sauce from stove; set aside. ASSEMBLE: Add a small drizzle of oil to the pan you cooked the chicken in (if it needs it.) Add the lemon slices and push them around the pan with tongs to pick up all the bits left behind by the chicken. Add the green beans and sauté them for 3-5 minutes or until done to preference. Season with salt, pepper, and the remaining ¼ teaspoon of garlic powder. 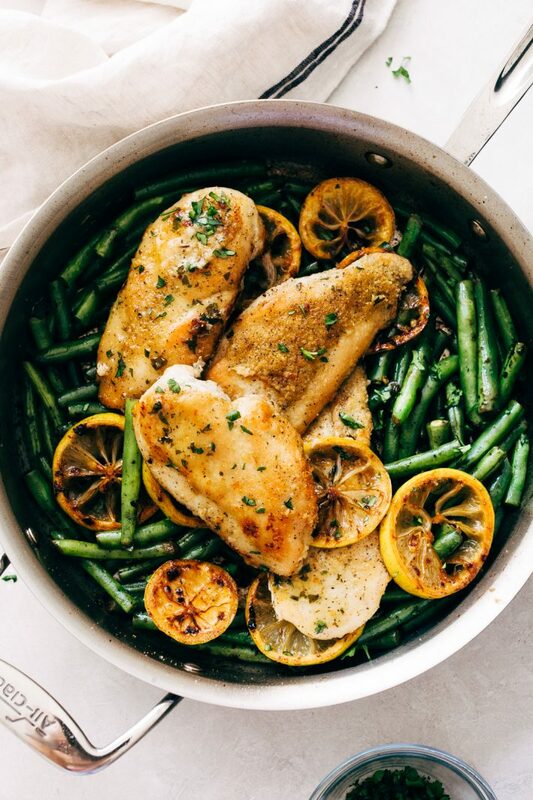 Pile the chicken on the green beans if you’d like or divide into personal servings. 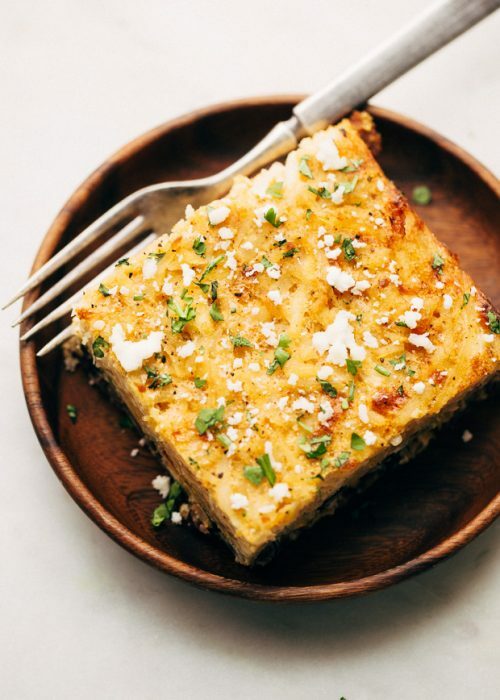 You can drizzle the sauce over the entire skillet or serve it on each individual serving!